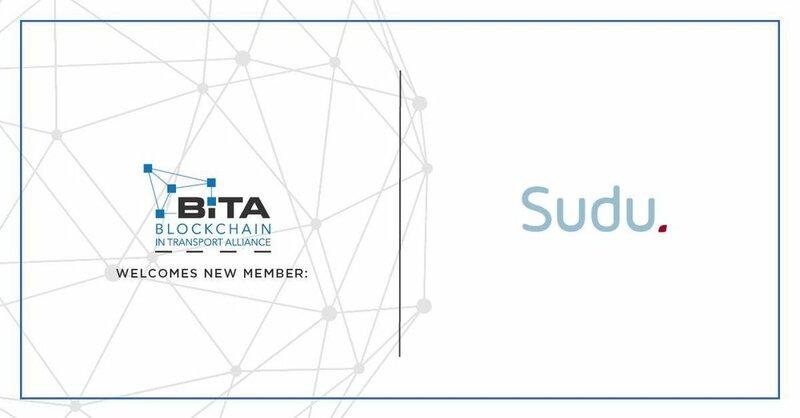 Sudu, a marketplace technology company aimed at expediting load coverage with smaller, reliable carriers and improving transparency to the shipper, receiver and carrier, has joined the Blockchain in Transport Alliance (BiTA), a first-of-its-kind trucking industry consortium for developing and promoting industry standards in blockchain use. The organization’s mission is to provide more clarity and education around blockchain applications and encourage its adoption through exemplary implementation. “We see technologies like Blockchain as foundational layers to help accelerate true marketplace solutions within highly fragmented industries such as logistics,” said Michelangelo Ho, COO and co-founder of Sudu. Sudu focuses on enterprise client shippers and match them with smaller carriers (including owner operators and minority owned) that are otherwise hidden in the industry. BiTA’s standards will address the stewardship of smart contracts, freight payments, asset maintenance and ownership history, chain of custody of freight and other issues facing the transportation and logistics industry. The organization was founded in August 2017 to create industry standard uses of blockchain applications and provide direction for the development of the technology in a way that fosters efficiency, transparency and trust. Sudu’s focus has been on building a carrier network without enforcing the use of a mobile app so each carrier does not have to change their technology habits. Sudu has been backed by several VCs including Engage Ventures, a strategic grouping of major corporations and brands that contribute to an independent venture fund. Corporate investors include AT&T, Chick-fil-A, Cox Enterprises, Delta Air Lines, Goldman Sachs, Georgia Tech, Georgia-Pacific, Georgia Power Foundation, Inc., Intercontinental Exchange (ICE), Invesco Ltd., Tech Square Ventures, The Home Depot and UPS.